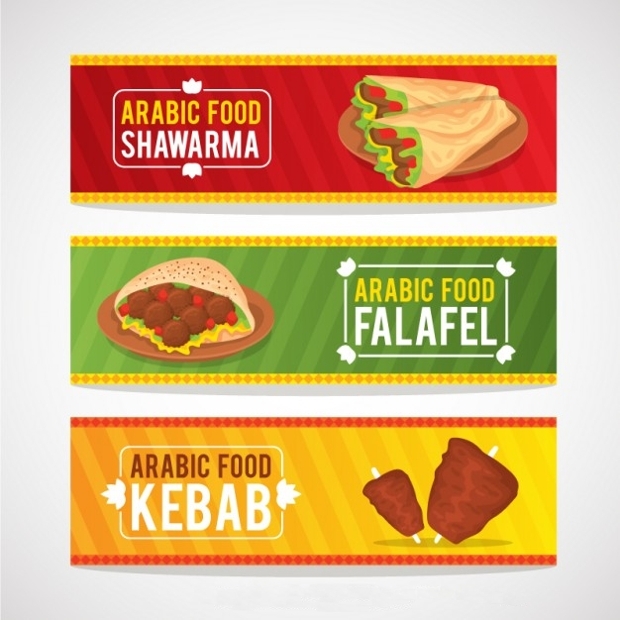 Creating food banners is a perfect exercise that combines creativity, intelligence, marketing instincts, a sense of aesthetics and the ability to sell a food item by virtue of its visual appeal, in the right proportions. 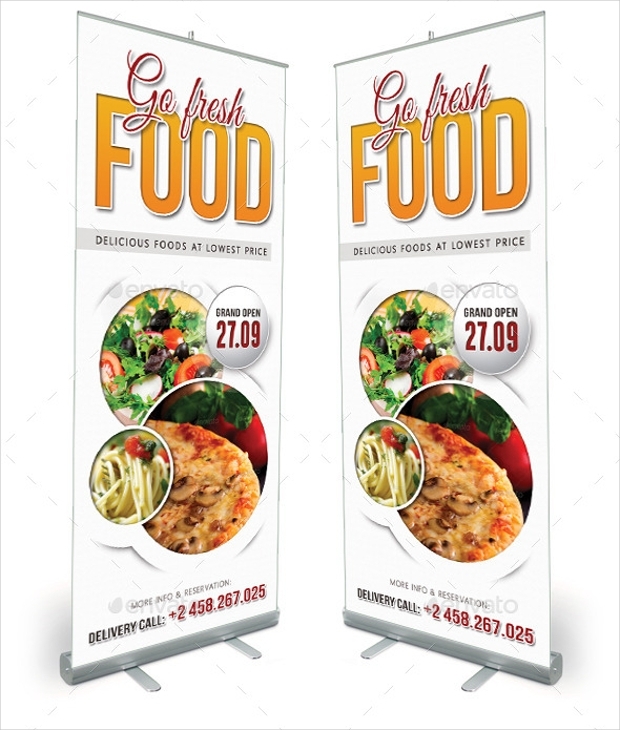 Food banner designs are of various types and may be created for print or web use or even for use on the social media. 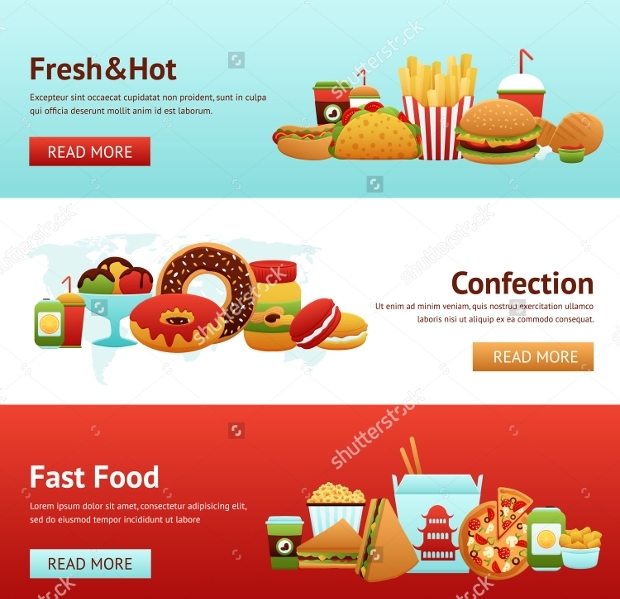 With the unstoppable march of the Internet, more and more sites with readymade template designs are available nowadays and it’s for you to download them and customize them to your specific needs in terms of photographs, graphics, and text. 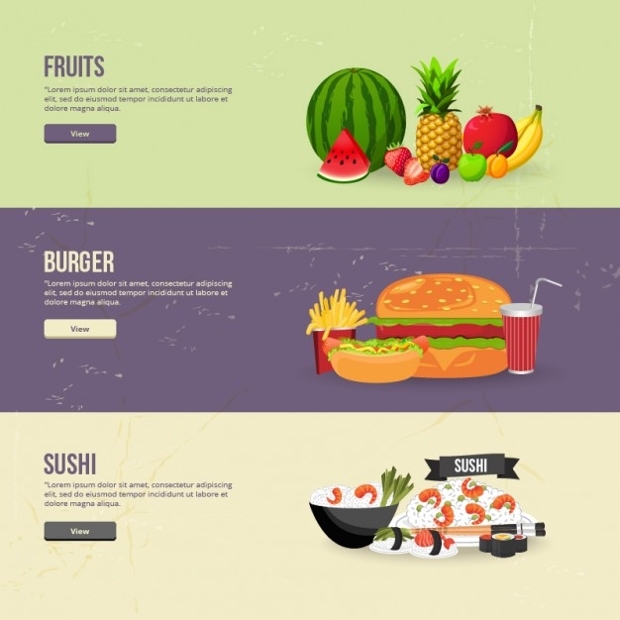 These templates are horizontal and have been created for a drink and donuts with suggested sample text. 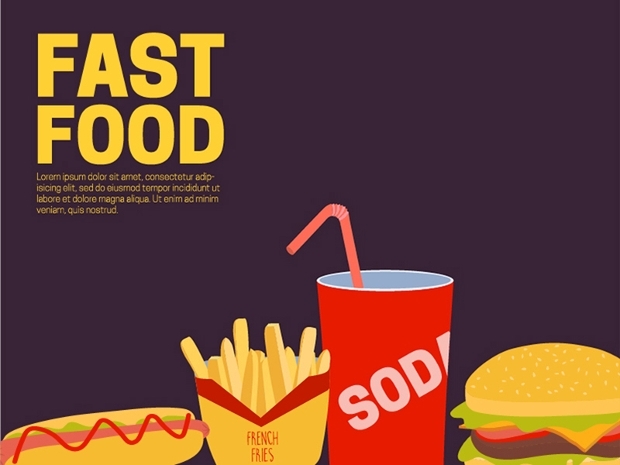 The theme is fast food in a flat style. This is ideal as an article template or web banner. 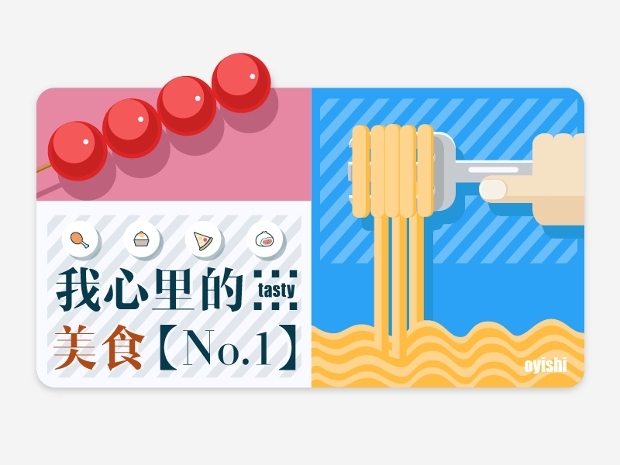 The illustrations happen to be vector-based, which enables the user to change colors or sizes easily. 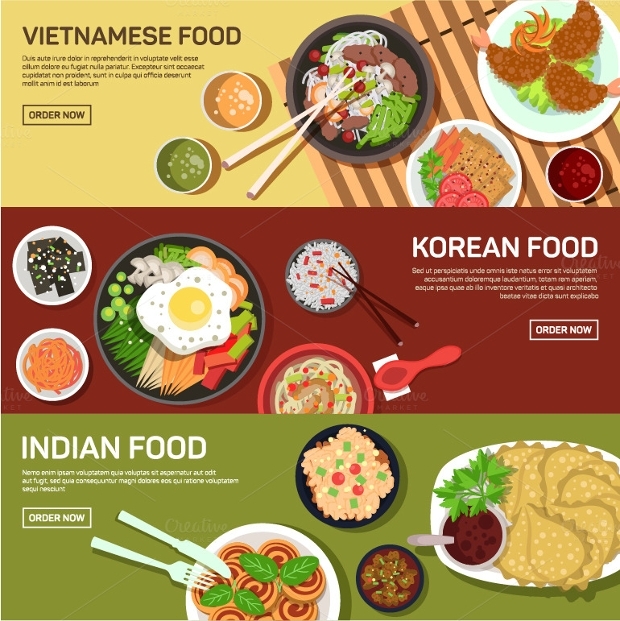 There are two vector files (EPS10 and AI) for both banners and provisions for two hi-resolution (1920 px X 4000px) PNG illustrations for each banner. 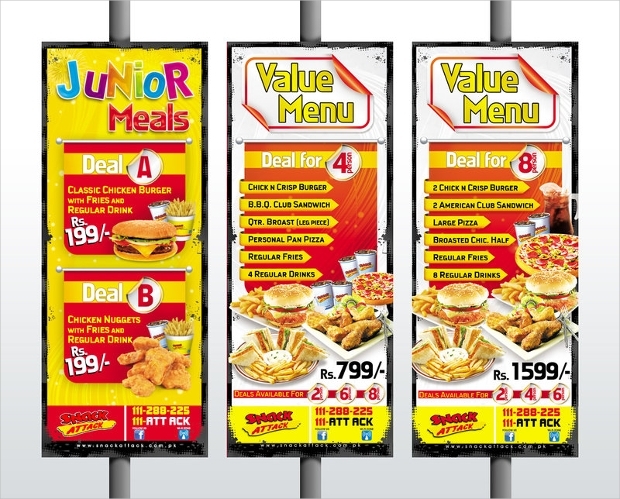 Ideal for use by anyone engaged in the street fast food business. 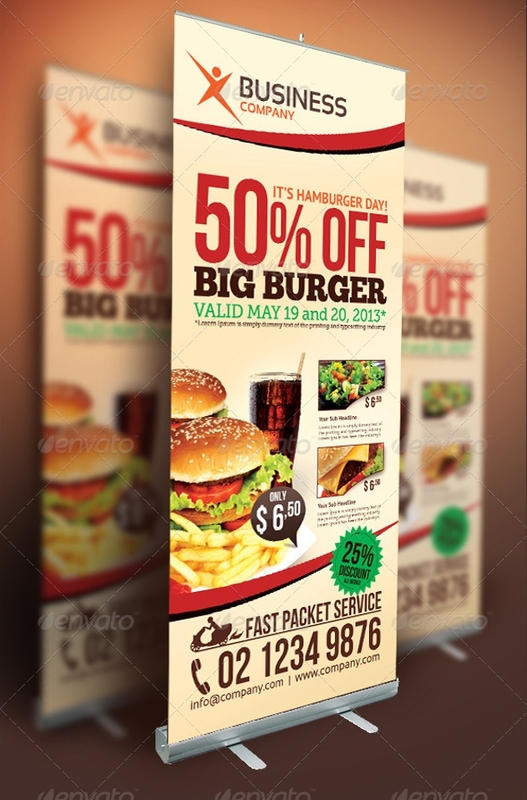 These food banner templates come with Vector EPS and JPG image graphic files which are Non-Layered. Adaptable to Adobe CS. Easily editable and customizable to one’s specific needs. 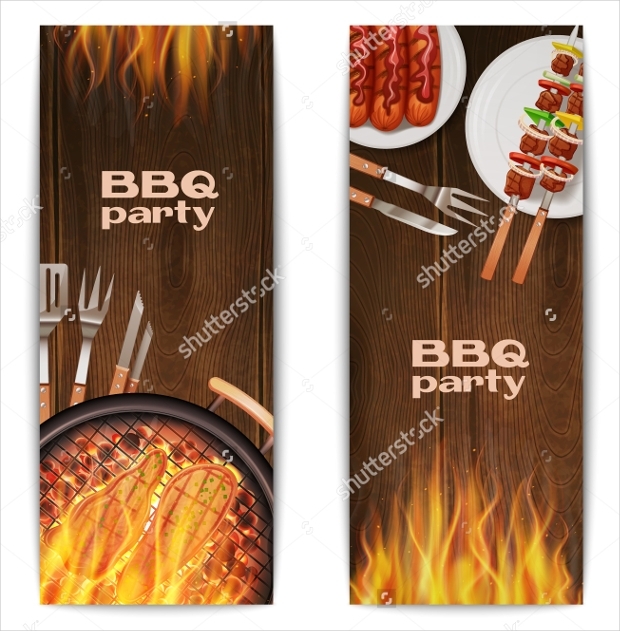 These banner templates have been created for web use with 72dpi resolution images in JPG files and come in the following sizes: Small, Medium, Medium Large, Large, Extra Large & Double Extra Large. The respective sizes for the Small category for web use are as follows: 15.9 cm x 15.9 cm (450px X 450 px); 24.4 cm x 24.4 cm (692px X 692 px). 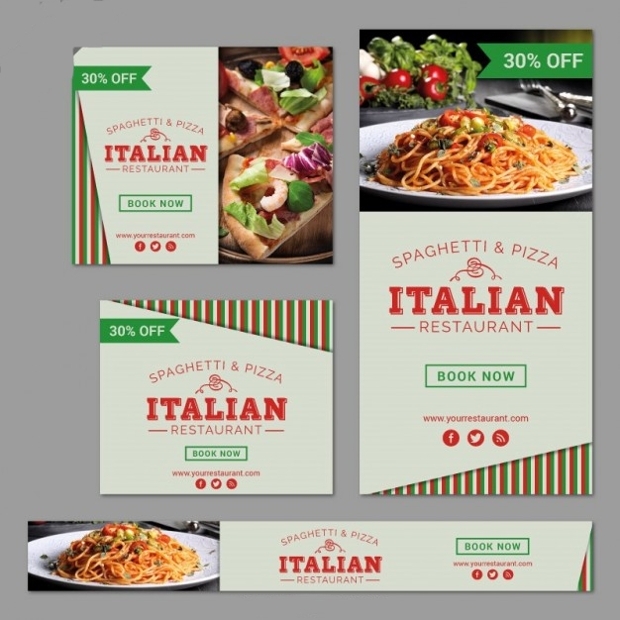 This template has been designed with fully layered PSD files that are totally editable and customizable to specific needs. The fonts used are Bebas Neue, Ballpark, and Aller. The size is 70”×30” with 150 dpi resolution images in CMYK color and is print ready. The bleed area is 1” with font links available in a “ReadMe” file. 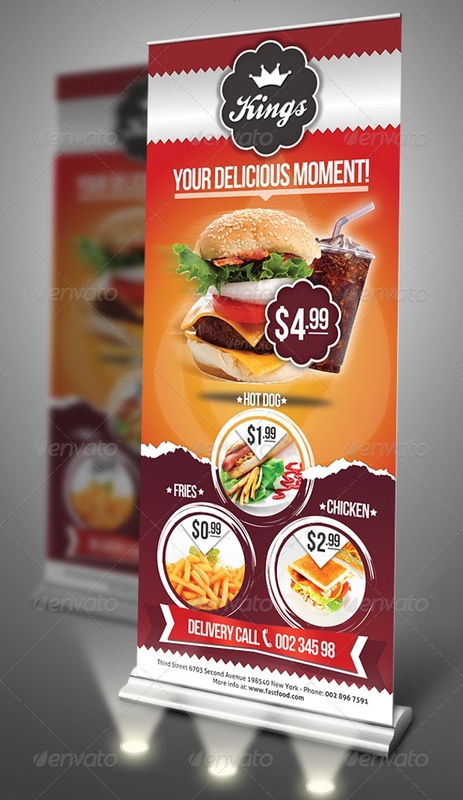 This template is ideal for use by any restaurant or café offering traditional Mexican food. 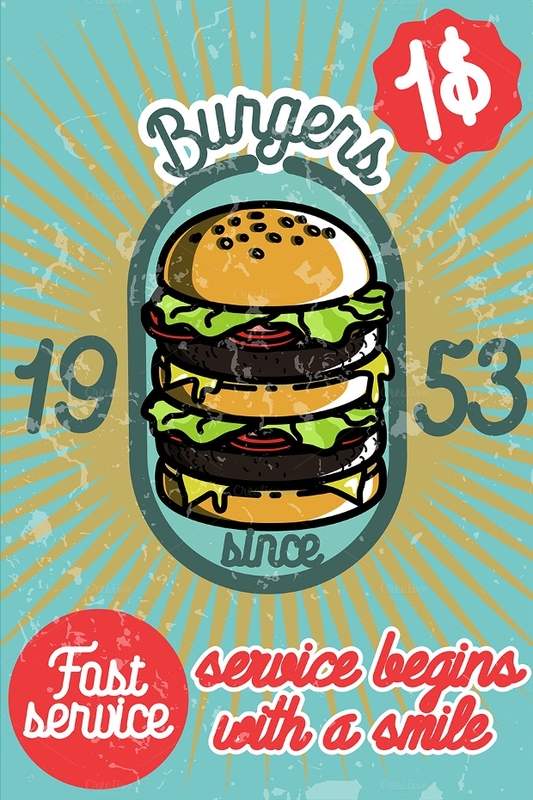 It is brightly colored with an isolated vector-based illustration. 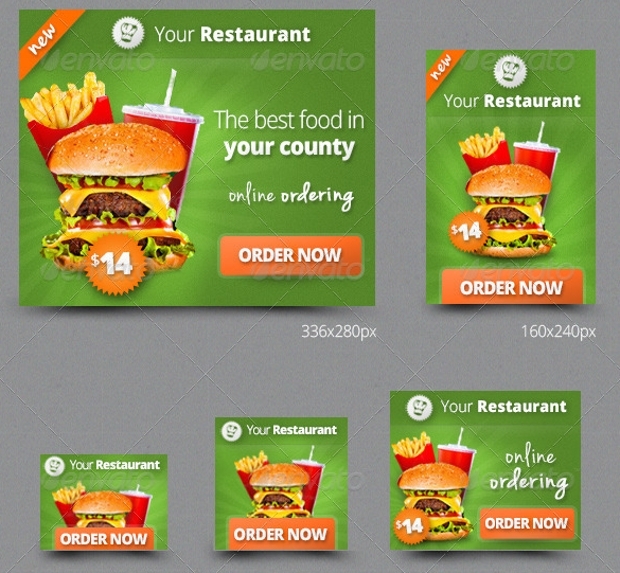 The graphics or photos are editable and replaceable as is the text. 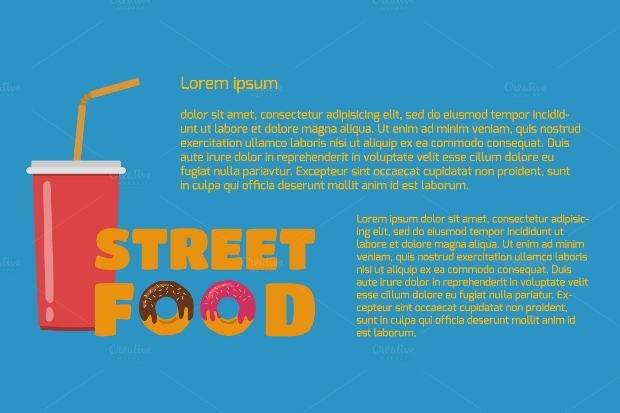 The Street Food Web Banner template comes with JPG, All files, and EPS file types. The size is 8.13 MB and the files are layered. The template is also vectored. 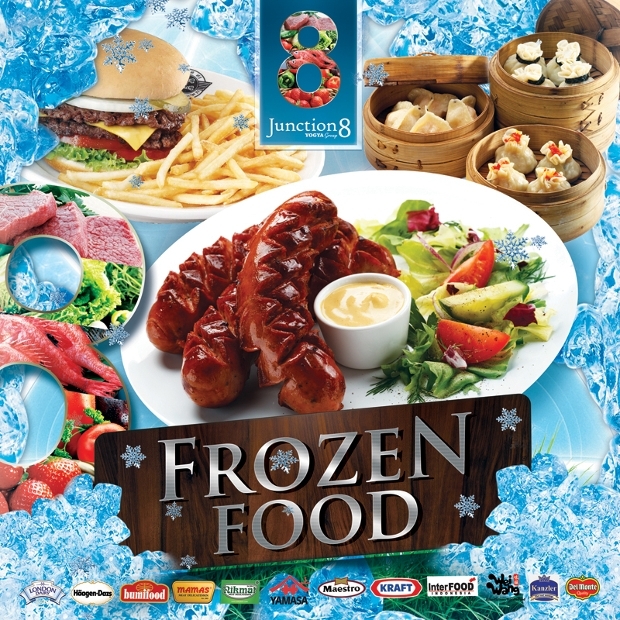 Fully editable and customizable and ideal for use by small and medium street food vendors. 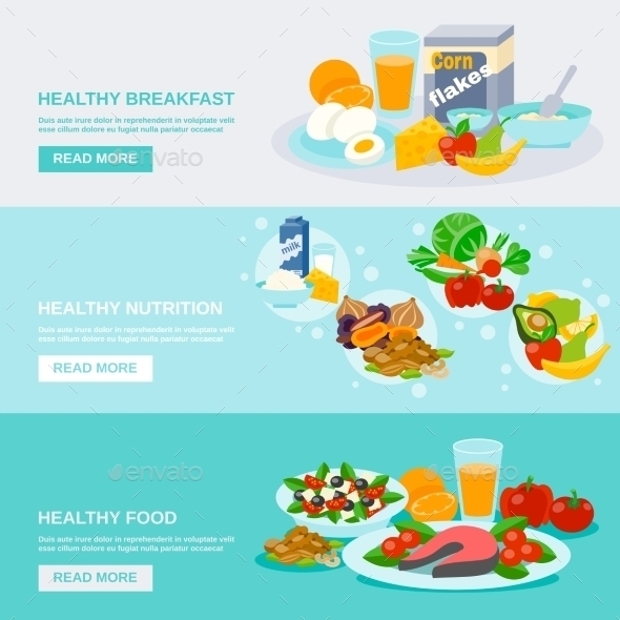 The Healthy Food Banner template does not have layered files and comes with Vector EPS and JPG Image graphics files. Adaptable to Adobe CS with adjustable size options. 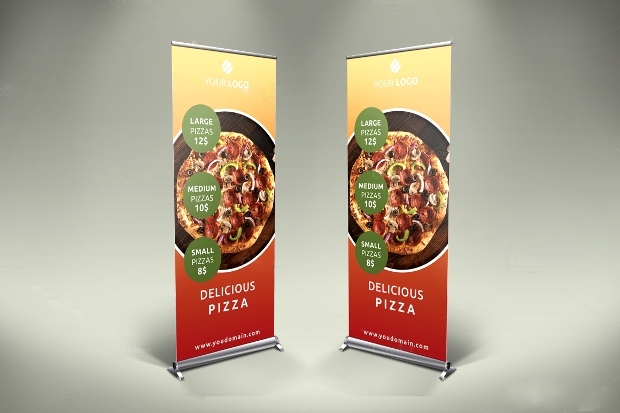 This banner template has EPS file types and its file size is 1.25 MB. It is vectored for ease of adjustability and customization. 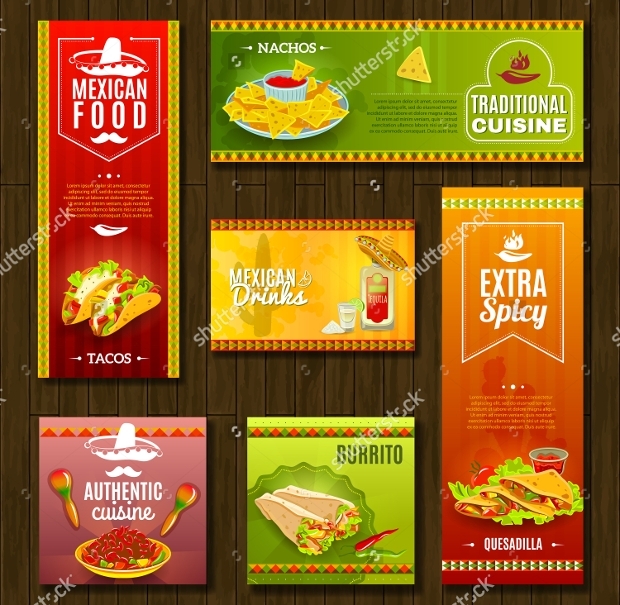 Readymade food banner templates are not only available aplenty on the internet but have come to be recognized as a convenient and much cheaper option for advertising food items. 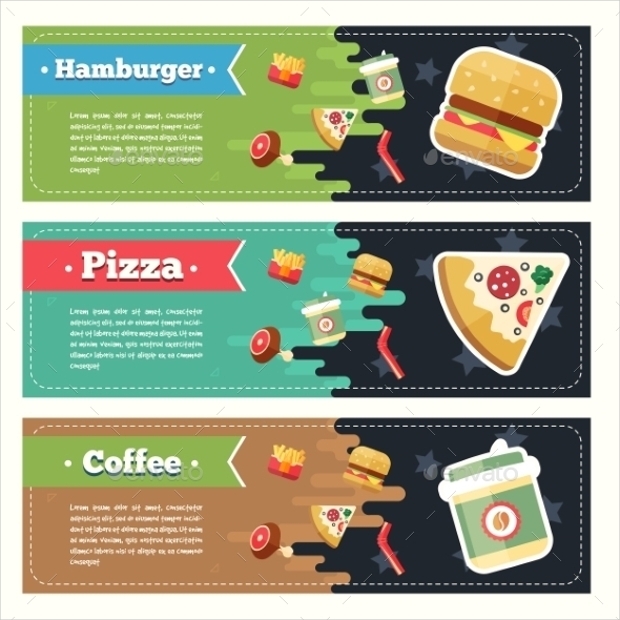 Their popularity keeps growing as more and more food vendors use them to advertise their products simply because of the ease with which they can be edited to suit your personal needs. Indeed, the most convenient method for advertising online or otherwise.